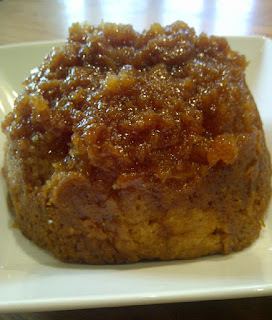 Mary Berry’s Treacle Suet Pudding is another of those recipes I get asked for by my sons as soon as it gets cold, and gobbled up by any hangers on. There are many recipes for suet pudding, as can be seen from the Guardian’s article ‘How to Cook the Perfect Syrup Sponge’ of just a couple of weeks back, however to my mind this one out of Mary Berry’s Aga Book (although you don’t need an Aga to make it perfectly) is the best. I’m making this suet pudding today, as the son came back from a trip yesterday, and the temperature has just reached the requisite level outside, so I’ll be adding my pictures shortly. I have the original Aga book, which tragically has been chewed by a guest puppy, as it was signed by Mary Berry, who lives near me, some years ago. You need a 2 pint pudding basin, which you grease, and pour 4 tablespoons of golden syrup into (or a bit more if you want). It’s good to stand the syrup in a warmish place before you start so that it’s becomes easier to pour. Put the dough into the basin and cover with a layer of greaseproof paper and a layer of foil. Tie down securely with string around the edge, preferably borrowing a finger to help make sure the lid is tightly sealed. Place your bowl onto a trivet into a saucepan and pour in water to come half way up the bowl. I have found if you don’t use a trivet the bowl may crack. Hob: Bring to the boil and then turn the temperature down on the hob and let it simmer for 35 minutes. Then either continue to steam on a very low heat or put it into the oven set at 110C or 220F. Having made two Christmas puddings last week, one on the Aga and another using a traditional oven this worked fine. With an Aga you bring it to the boil on the boiling plate and then transfer over to the simmering plate when it has reached boiling point. After 35 minutes transfer to the simmering oven. With either an Aga or an oven you’ll need to steam your pudding for about 3 hours. If you have quite a few hungry people to feed you can double this recipe which is written to serve 6. You’re unlikely to be left with a crumb. On the subject of custard: I have been known, on a lazy Sunday when I didn’t bother to make ‘proper’ custard and only offered cream, to have spoons being banged on the table in outrage. I don’t like gloopy custard, just the kind that pours easily and tastes delicious and I dislike bought custard intensely. 1 tablespoon of vanilla caster sugar (I keep a jar of caster sugar with a vanilla pod in it, otherwise use ordinary caster sugar and add a drop of vanilla essence). Beat the yolks and sugar together in a small pan and gradually add the milk. Place on the hob. Stir the whole time or your custard may curdle. Bring almost to the boil – you’ll know when you’re there as if you lift the spoon out you’ll see that the mixture coats the back of it. Remove immediately from the heat. Don’t leave this for an instant as it heats as you’ll need to make it again from scratch. Use a double saucepan if you have one.